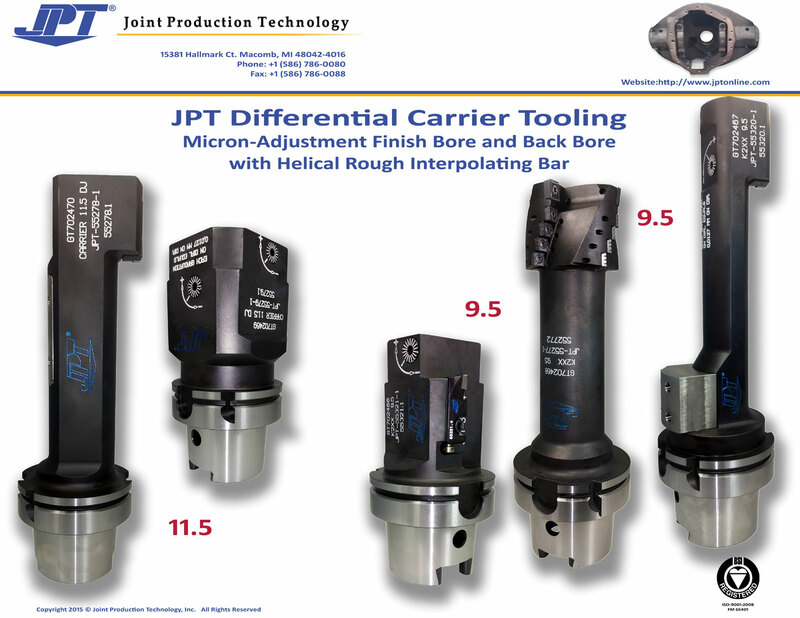 Since 1983, JPT has designed and manufactured Diff-Carrier tooling evolving into our “Best Practices” or “The JPT Way”. Our specialty application experience covers Many, Many different types of parts and associated materials that require exacting tolerances. There are many ways to machine Differential Carriers. During this time JPT has established a great library of application knowledge ……….. Including (5) Diff-Carrier part prints in the past three years alone. As a result of this, JPT has developed the Patented “JPT Differential Carrier Generating (Motion) Tool” that provides extremely high quality workpieces and tool life. Insert material, geometry and tolerancing. Locate and clamping points / method. In addition to the above, JPT is frequently involved in the process and fixture concepts as well as the machine tool application and maintenance. Our involvement in all of the mentioned elements produces very successful applications. So successful are these that a number of elements have United States and International Patents (and Patents Pending)….including the “JPT Differential Carrier Generating (Motion) Tooling System” utilized by Machine Tool Builders for converting new or existing equipment into Diff-Carrier machining cells. When we are asked to “quote a tool” along with “back-up” inserts………without the aforementioned involvement…..the outcome is generally poor and all involved have generally been displeased. 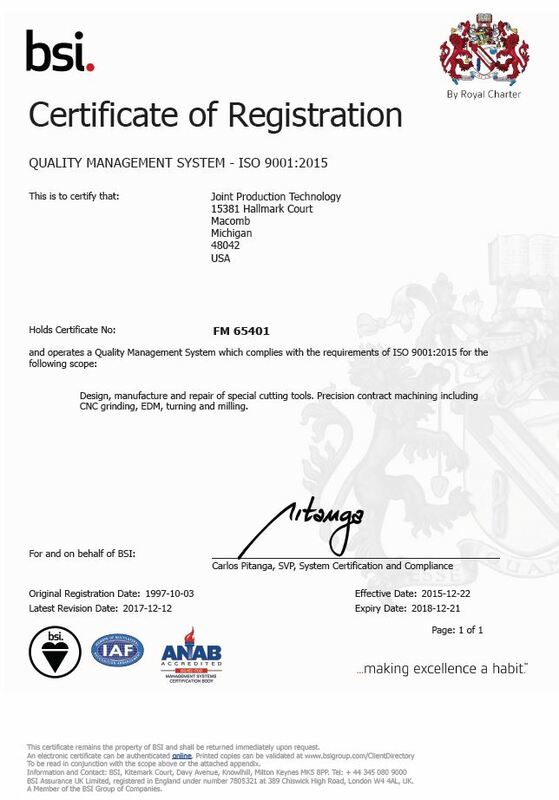 We are certain that this is due to the “Manufacturing Marketplace” viewing this type of tooling as a “COMMODITY” (such as a standard catalog toolholder or insert) and fairly often not understanding the discipline required and the complexities involved. Subsequently, JPT’s increased involvement in all areas of Diff-Carrier manufacturing has grown out of necessity as needed by our customers. Balanced Assembly for High Speed Operation. Utilizes Size Control with Patented JPT Anti-Backlash Device. Reduces Cycle Time over existing machining methods. Extremely close tolerances achieved on Bearing Bore. Gaging Diameters on the tool. Tool-Setting accomplished on or off-machine. 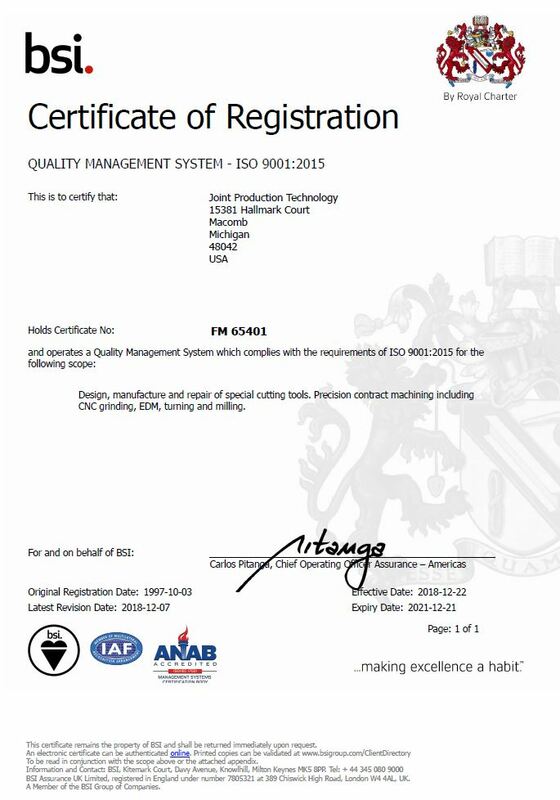 Quickchange accomplished with the JPT Patented Drawbar. On-Machine Tool Compensation for part size control. HSK-80 & HSK-100 Tool Shanks. CNC Machines, Special Machine, Hybrid, Dials and Transfer Lines. Excellent Surface Finishes are achieved. Multi-Bore Backboring of Bearing Pockets. Machine Tool Actuation converted from Rotary to Linear Motion. Alternative Method to Generating Heads.